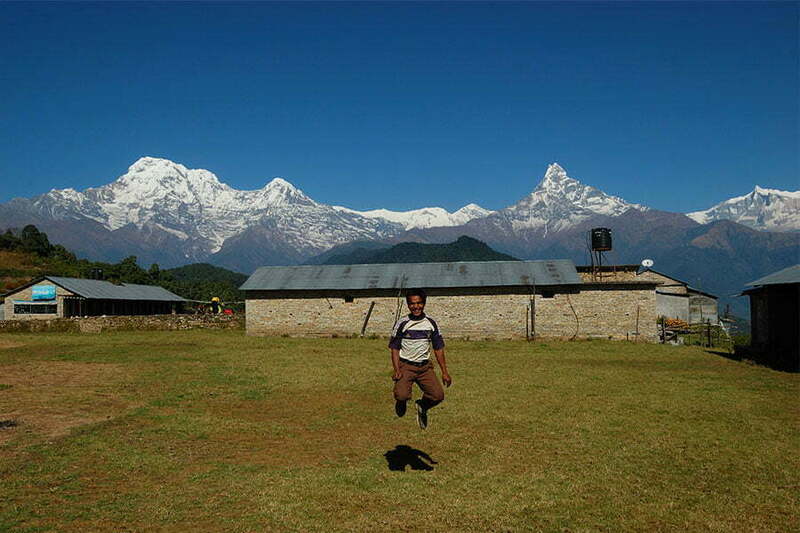 Australian Camp Trek 1 Day is the best and easiest short trek from Pokhara. You will start the trek from Kande to Australian Camp, and will arrive in Australian Camp in 2 hours. This is a pleasant trek to see the Annapurna range of mountains such as Annapurna South(7219m) , Hiunchuli (6441m), Machhapuchhre (6993m) also known as Fish Tail Peak and Lamjung Himal (6983m) in a closer range. 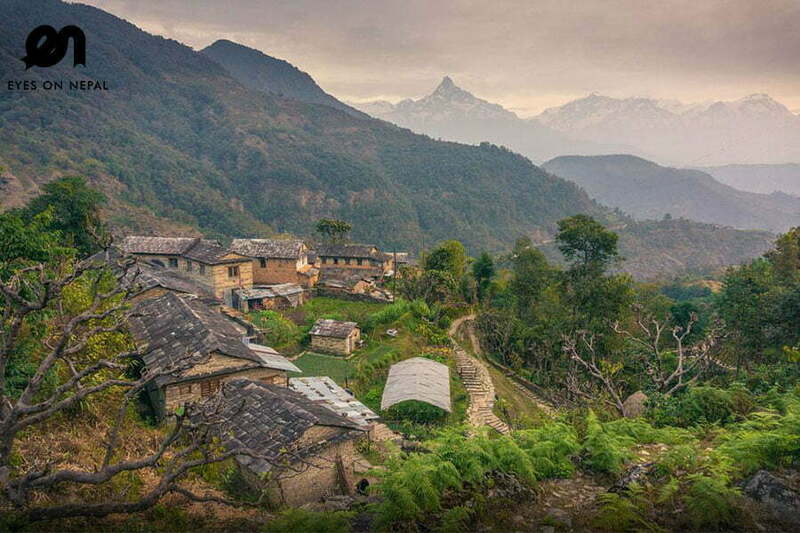 If you can spare 2 days in Pokhara for a trek, then you can consider this trek from Pokhara – Australian Camp Trek 2 days 1 night. This is a better trek offer you more times to enjoy the mountain view. Australian camp is the trekking starting point for many bigger treks from Pokhara. 08.00am: Pick up from hotel, transfer to Kande. 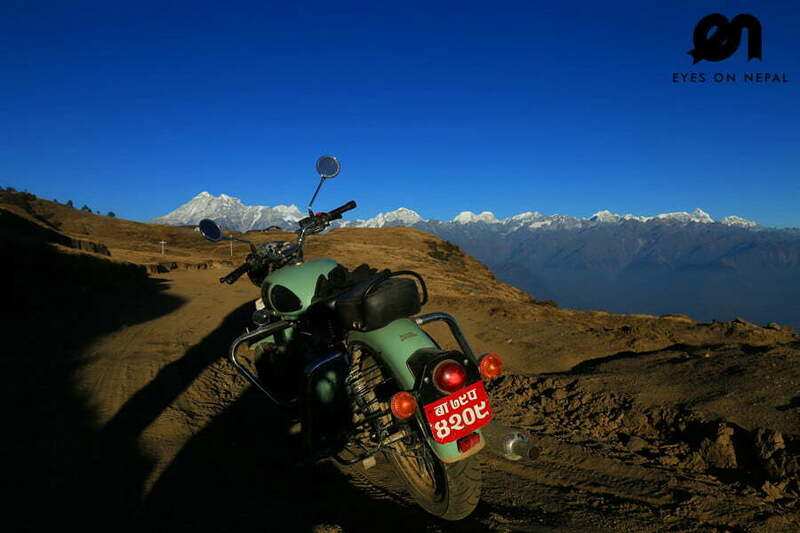 NOTE: 30 minutes’ drive from Pokhara. 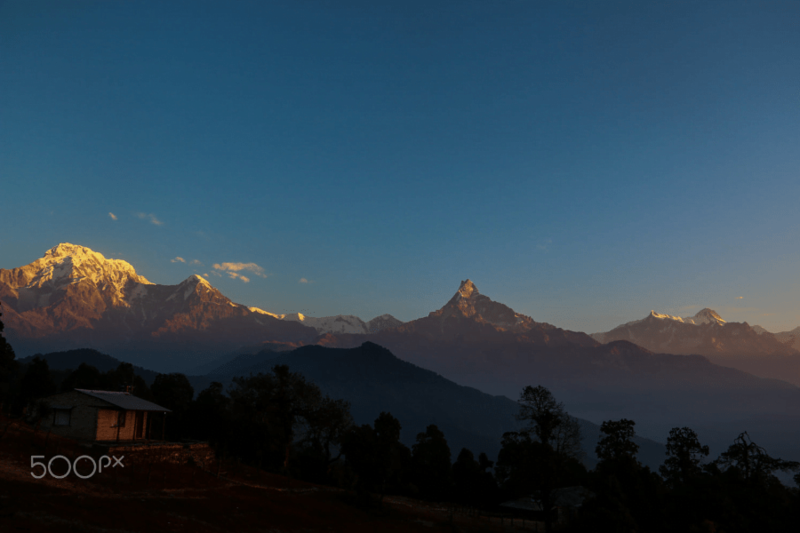 NOTES: Australian Camp Trek is a short trek from Pokhara. No need to bring anything. 09.00am: Arrived at Kande, start the trek from Kande to Australian Camp. 12.00pm: Arrive at Australian Camp. Rest & relax. You will have lunch while enjoying the view. Rest & relax for a few hours at Australian Camp. You will see good view of Annapurna range of mountains such as Annapurna South(7219m) , Hiunchuli (6441m), Machhapuchhre (6993m) also known as Fish Tail Peak and Lamjung Himal (6983m). 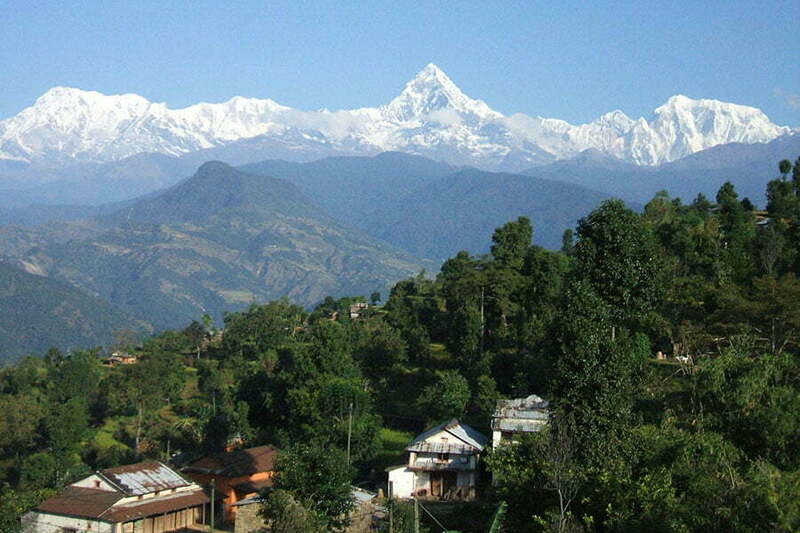 Mardi Himal Trek, Ghandruk Trek, Panchase Trek and etc. 03.00pm: We will trek from Australian Camp to Kande. 05.00pm: Arrive at Kande. Pick up and we will transfer you back to your hotel in Pokhara. 06.00pm: Arrive at your hotel at Pokhara. Trek ends. Extra bills such as beers, juices, coca cola etc during your treks.